For better or worse, streaming services have turned the music industry into a sort of wild west, where tradition is constantly rewritten. Spotify and Apple Music playlists can make Billboard hitmakers out of bedroom musicians, music superstars moonlight as DJs, and a company known for energy drinks and extreme sports has thousands of online radio shows. Initially launched in 2005, Red Bull Radio relaunched in 2014 as a 24/7 online radio station helping listeners discover artists hidden in obscure niches, from video game soundtracks to acid jazz compilations. 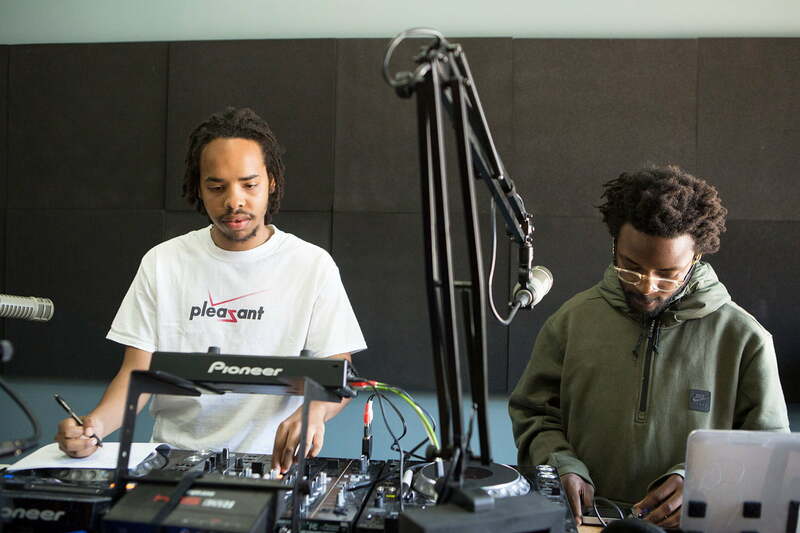 The service’s most popular show, Earl Sweatshirt Stays Inside, is hosted by obscure rapper Earl Sweatshirt, and is made to sound like “you’re actually sitting on the couch,” according to Red Bull Radio founder Many Ameri. Red Bull Radio may operate on the fringes of the music paradigm, but as Ameri told Digital Trends the service still has a respected voice in a crowded music industry, especially from an artist standpoint. 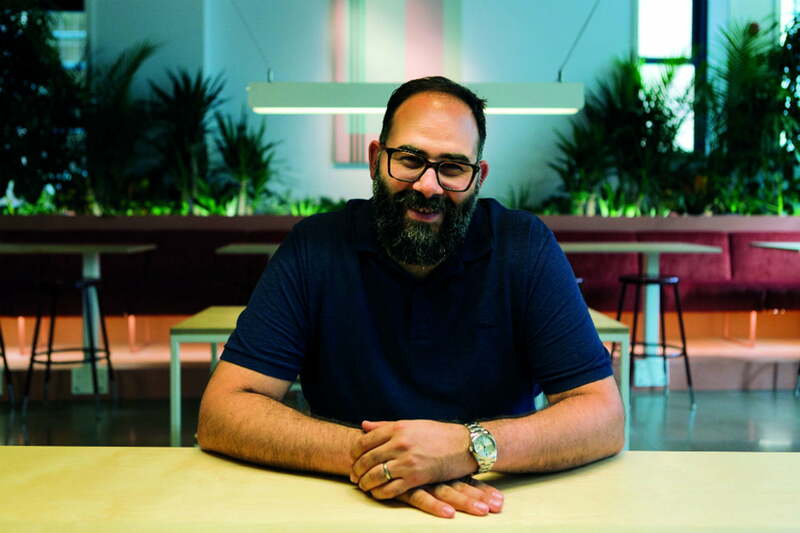 In our chat, the 20-year music veteran discussed everything from Red Bull Radio’s stance on promoting controversial artists in light of the latest moves from Spotify and others, to his prognostication that podcasts could be the future of radio. Digital Trends: As mainstream streaming services have become bigger it’s harder for smaller services to offer major competition. 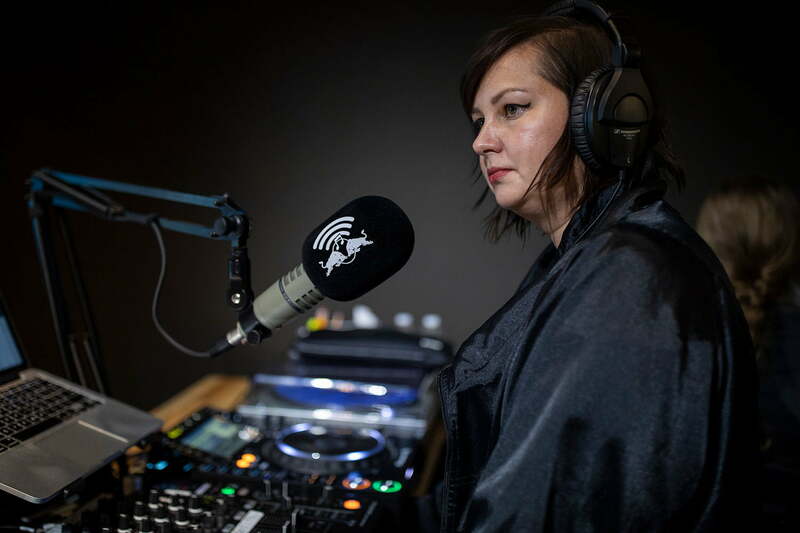 What does Red Bull Radio offer artists and listeners that other services might not? Many Ameri: On the artist side, they get a counterpart of people that are actual music heads that really care about the subject matter. That’s a good start. To us, the artists are not just the name to attach as a testimonial and then get their personal assistant to provide you with a playlist. We are looking for an artist who wants to engage with us, who wants to create a radio show, and it’s work. You actually have to work for this. We pair them up with people in our editorial team that understand what they’re trying to do, and they will help them turn that into a radio show. When Merrill Garbus comes to us from Tune-Yards and says “Hey I want to do a show with female-identifying artists, all the music I play is by female-identifying artists. There will be a collaboration in each one of those shows with two female identifying artists and we will premiere the track they’ve created on my show,” that’s a complicated thing to do. She has the relationships, she has the ideas, she has the knowledge. It’s her platform. 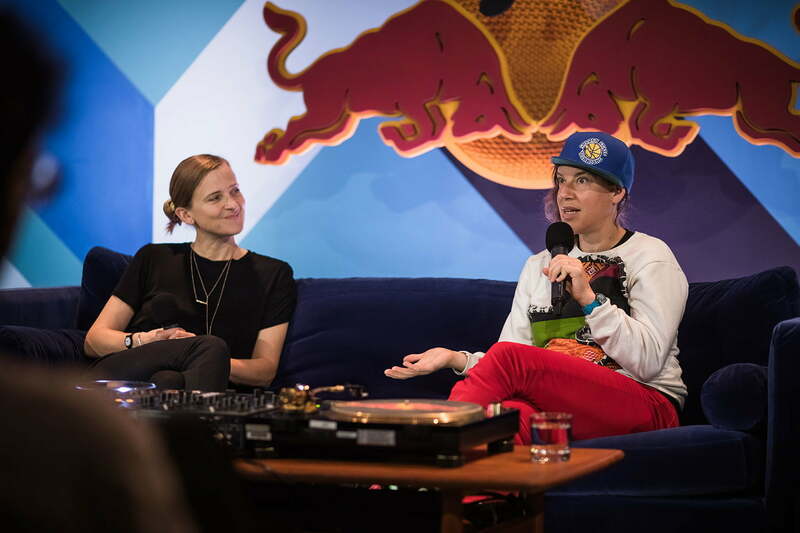 How does Red Bull Radio work with labels and artists on exclusives? Is that something that appeals to you as a growing streaming service? It’s very much based on a relationship that’s built on trust and actual relationships. It’s nothing you can put down in a contract or something like that. If you look at some of these artists that are [Red Bull Music Academy] alumni of ours, some of these people will say it’s a life-changing experience, and they trust us when they come to us with projects that are a bit risky, and they don’t know if it’s going to work out. We’re sort of a good sparring partner to have these conversations with, and we’re the ones that often are able to help connect them with other people, or whatever. So, the relationship is built on a very deep moment that they’ve experienced when it comes to the alumni side. Do you find it easier to work with indies over majors? No. It needs to be said that what we’re doing is basically a linear radio service. It’s very different from needing to have the rights to provide individual tracks. But, independent of the regulatory side of that, we believe in the concept and the idea of radio, and we want to focus on the things that radio is good for. If it’s about delivering individual tracks, there’s enough services out there and it’s great that they exist. But, to me, a perfect journey could be you come to Red Bull Radio, you listen to a show, you learn about stuff you haven’t heard about before, and then you’re like “Oh, I like that track. Now I want to find more of those tracks” Then you go to Spotify or just SoundCloud or wherever you want to go and continue your search. Cardi B and Post Malone released albums that were each certified Gold by the RIAA the day the albums came out due to the way the RIAA now counts streams. How do you think this sort of paradigm affects the music industry as a whole? Well, I mean, that’s one side of it. The other thing is if you really want to get up in those ranks you got to do fitness music and occasion-based music. That’s really the thing. When there’s tracks that you’re like, “Who are these artists even?” and they show up and they get these very high rankings. It’s because these playlists are created to cater to a certain moment in your life. It’s reading music. It’s sports music. It’s transit music. It doesn’t have to do with the artists anymore. The argument that you’re making about what leads to what kind of ranking, the music industry’s always needed those kinds of compasses. We decided to sort of operate outside of that because our entire system is built on merits. It’s not based on how many Grammy’s you have, or how many gold records you have. What are you doing to move your culture forward, and how can I make people have a part of that and learn? That’s our stance and the way we’re looking at editorial. To validate that through success metrics, like the industry, I think they’re important to some people. That’s a great system for them to know what to care about and what and what not. For our audience, we’re looking for music lovers. There’s enough of them out there, and we want to be able to provide them with things that a grid doesn’t validate. You said you support artists based on merit. Spotify and Apple Music recently removed music from select artists from their playlists based on moral reasons. What is Red Bull Radio’s stance on promoting or not promoting artists who may be under criminal allegations? Like with anything we’re doing editorially, we have a strong set of standards that we look at for how we’re aligning with certain artists. We’re not a tracklist related kind of thing, so we can’t throw people out as [Spotify and Apple Music did]. But, what we can do is basically look at who is the person that I think has the right kind of point of view that I’m interested in having speak to their community, and who do we put on these platforms. We have a responsibility to our listeners to do our due diligence … . There have been allegations against Spotify for allowing labels to pay for playlist placement. What is Red Bull’s view on this and do you have any experience of being approached by a label for placement? One gripe I have with the music discovery from streaming services like Spotify and Apple Music is that their biggest playlists usually feature the same major label artists. How does Red Bull’s promotion of unsigned or indie artists compare to major label artists? We don’t really differentiate, but I guess we skew more towards indie kind of things, because, ultimately, we’ve always had a focus on people that are really moving the culture forward. That’s always been our focus. We’re looking at people that we think are challenging the status quo. I think that’s something we’re interested in. When they get successful and they sign up with major labels and play stadiums or whatever, that’s all good for them. That doesn’t mean for us that we would move away from the artist if the integrity is the same. It’s not about whether you’re mainstream or not. It’s basically whether we think this music needs to be heard or we feel that there’s an interesting story around it. We think that the industry is built in a way where you’d try and present the artists that are relevant right now. You’re trying to be within the promo cycles they’re in. You try to be newsworthy, and so on. The position that we took with what we were doing is basically we don’t necessarily want to present something that’s new, but we want to present something that’s new to you. Red Bull Radio started in 2005, but relaunched in 2016 as a 24/7 radio show with themed shows. What was the reasoning for going that route instead of launching a subscription streaming service? The reason was sort of finding our own role within this ecosystem. I think there are certain things that radio can do really well, and those things are giving a story the space it requires, being able to create a story arch, getting up close, and if you want, multimedia, because you’re not just hearing the voice but you’re also hearing the atmosphere of what the person is saying, and so on. Also having the confidence that while everything we’re doing can adhere to the logic of, “Hey I need to give you snackable content and little three minute snippets to get you interested in the story,” I still believe that the ultimate reward is an audience that trusts you to deliver a long show that you can tune into. I see it as our purpose to somehow be the deliverers of curveballs … I know it’s quite bold in the sense to have this. [Laughs] But, I have a lot of trust in that actually being our role. What are the benefits of using human curation over algorithm-based services? So there’s no doubt that algorithmic playlists are good for something. It’s brought a lot of people into this entire ecosystem who didn’t know where to look. … I think we’ve taken a very different route, and everything we do is hand-curated by actual people that care because we are in the business of showing the invisible lines between things that don’t seem connected. It’s like your older brother [or] the guy in the record store, … showing you “Hey, I can see where you’re coming from, but have you heard this record?” … . Being able to make these invisible connections, that’s the service that we want to focus on. While A.I. might be helpful in one way or another to do that, we’ve always been about context and making the most unlikely connections and that’s what we want to be able to do. Red Bull is involved in sponsoring all sorts of extreme sports and similar events. Where does a streaming service fit into that equation? How does such a service carve out its own identity? So what is the most popular show on Red Bull Radio? How do you guys gauge success and popularity? The most popular show is probably Earl Sweatshirt’s show. One way of how we would gauge that is the kind of conversation that happens around it. We get that with a lot of different shows, but Earl has so much conversation happening around it. I think what’s great about the show is it’s very intimate and close, and at the same time it’s almost like a treasure hunt. You’re trying figure out what the hell he’s doing and why … . People are making up their own narratives around that. You’ve been in the music industry for decades. What do you see as the future of terrestrial vs online radio and do you see any parallels between the two? I wouldn’t make a differentiation between those two things. Clearly those are two different offerings. But if you look at the concept of radio in the sense of it’s not just snippets, it’s long form, it’s arches, it’s making use of the space that you have. I see that much more as a comparison to podcasts and how podcasts are made. So, I think both terrestrial and online radio stations will make huge efforts to get audiences to listen to them and they will use whatever method there is to turn people onto the kind of offerings that they have. I think radio would be well advised to believe and be confident about the opportunities that format offers. People get quite stressed with what they think they know about generation zed and all those other things. Yes, that might be true that people really want to have these very snackable, small content bits, and so on. But, the purpose of what we do is ultimately always trying to provide different inroads into content and a story. I’m trying to make a hip-hop kid in my lecture hall care about a classical composer like Steve Reich who’s in his 70s and is important. But they don’t know each other. So how can I do that? I have to find different ways to explain why that is relevant to what they are doing. In a way, that’s the role of social media and all sorts of promotional stuff that you would also put out. Give people what they’re looking for, find ways how they can care about something, get them curious. But, why couldn’t the reward for that be a long-form piece of 60 minutes, or even longer? I just think people and listeners are curious to learn. There is a mode in which you just want to consume, and that’s maybe x percent of the day. And there is a mode where you’re like, “OK I want to be able to talk about something, and know more about it, and I’m OK to commit to that, and it can take longer than three seconds, or seven seconds, or whatever some scientists tells me I have an attention span for.” We want to be known for that, and I think radio should focus on that.